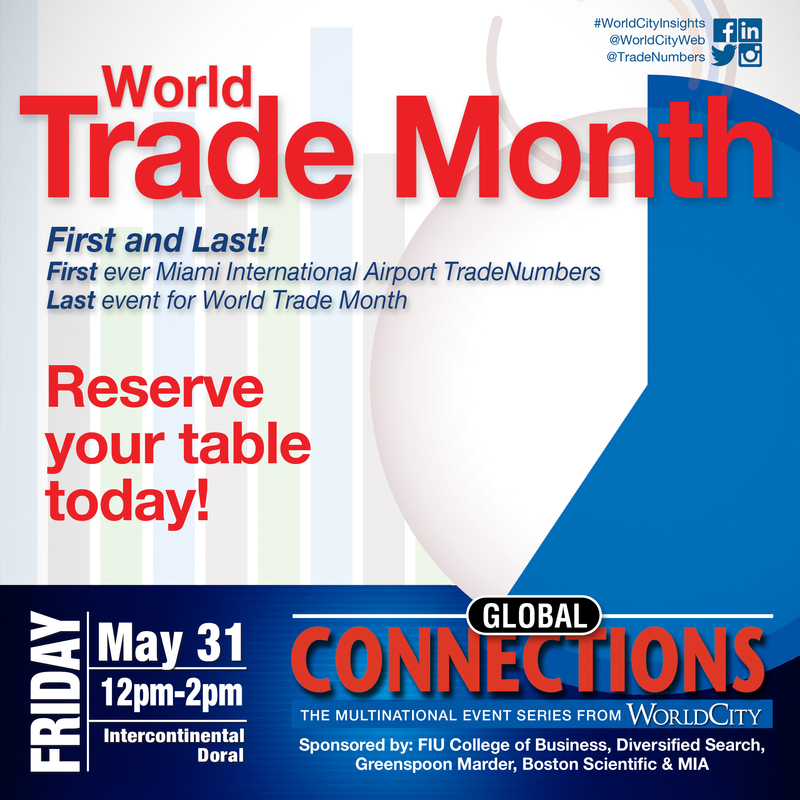 World Trade Month: Miami TradeNumbers Release - WorldCity, Inc.
Join us as we celebrate World Trade Month with the launch of our first ever Miami International Airport TradeNumbers publication along with the new PortMiami TradeNumbers Executive Summary. Participate in a deep dive into the South Florida $111 billion worth of trade with the world and learn from three prominent members of the trade community. 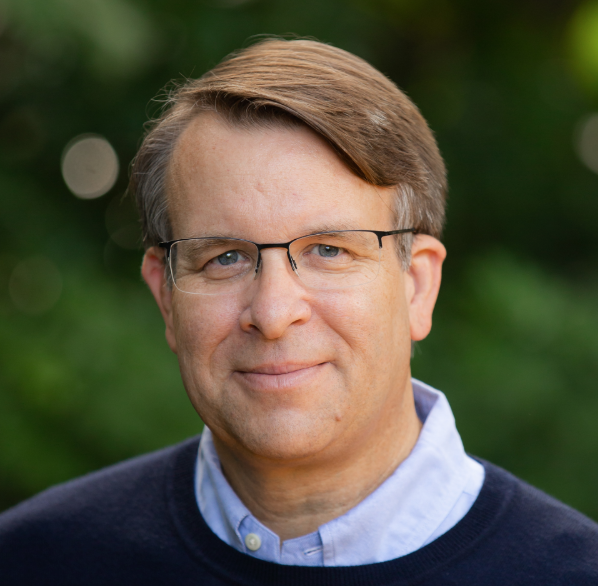 Bill Lane is the Executive Director of Trade For America, a coalition supporting the modernization of NAFTA and KORUS. He is also a Chairman Emeritus of the U.S. Global Leadership Coalition which supports U.S. funding for diplomacy and development. In 2016, he was awarded the Washington International Trade Association’s Lighthouse Award. Bill is a Penn State Alumni Fellow and chairs the Penn State Global Advisory Council. He is also a Wall Street Journal contributor. 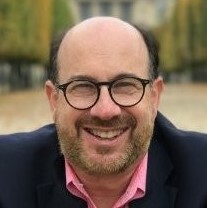 Brandon Fried is the Executive Director of the Airforwarders Association where he advocates for the industry in the halls of Congress, the Department of Homeland Security and is the public face of the Airforwarders Association. He has more than 38 years of experience in the airfreight forwarding industry and is from Washington, D.C.
Jean-Pierre Emond is the Chief Operating Officer of The Illuminate Group where his research mainly concentrates on food and pharmaceutical packaging, handling and transportation. 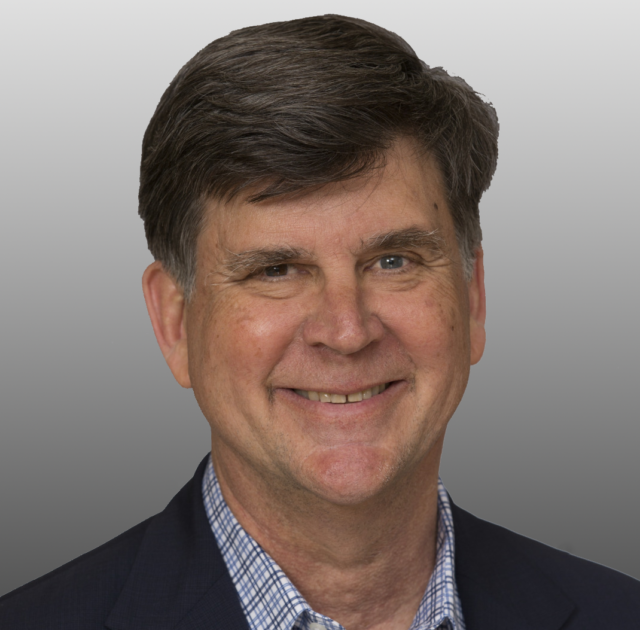 He is also currently the CEO of Blueye LLC and was the director of Cold Chain Research in the Electro-Optical Systems Laboratory at the Georgia Tech Research Institute from 2012 to 2015. We thank our corporate Sponsors: Boston Scientific, Greenspoon Marder, FIU Business, Miami International Airport, & Diversified Search along with Trade for America and PNC Bank. As well we appreciate our Table Sponsors: Magaya & (add)ventures. For more information 305.441.2244, info@worldcityweb.com. Unlimited available Event Table Sponsor of 8 - Early Bird $650.00 Table of 8, WorldCity will provide form to complete with list of attendees. Company logo will also be requested. Unlimited available Member & Sponsor Additional Seats - Early Bird $75.00 Discounted tickets for existing members, table sponsors and corporate sponsors.